The mastermind of a $55 million computer hacking scheme that plagued ATM machines all over the world pleaded guilty in a Brooklyn Federal Court on Tuesday. Turkish national Ercan Findikoglu who only has a high school certificate, was able to attack hack the computer networks of at least three payment processors for Visa and MasterCard credit and prepaid debit cards. Findikoglu told Federal Judge Kiyo Matsumoto. Findikoglu told the judge he was able to falsely inflate the balances on various accounts, after which he forwarded the account information to “cash crews” standing by in 26 cities from July 2010 to February 2013. 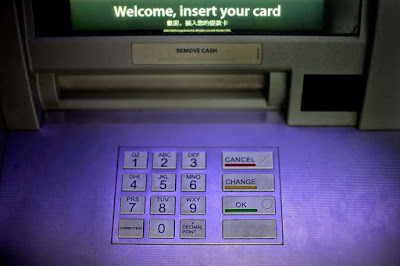 Then when the crew members received the green light, they began making large withdrawals from ATM accounts after the limits on balances had been lifted, according to court papers. Thirteen co-conspirators had previously pleaded guilty. Findikoglu faces up to 14 years in prison when he is sentenced on July 12 and has to repay $55 million in restitution to the financial institutions that were ripped off, a $250,000 fine, and will be deported to Turkey after finishing his jail term.